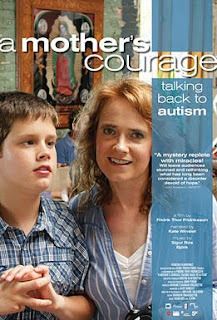 Narrated by Kate Winslet, this inspiring film follows one woman's quest to unlock her autistic son's mind. Margret, whose ten-year-old son Keli is severely autistic, has tried a number of treatments to help her son. Consumed by an unquenchable thirst for knowledge about this mysterious and complex condition, she travels from her home Narrated by Kate Winslet, this inspiring film follows one woman's quest to unlock her autistic son's mind. Margret, whose ten-year-old son Keli is severely autistic, has tried a number of treatments to help her son. Consumed by an unquenchable thirst for knowledge about this mysterious and complex condition, she travels from her home in Iceland to the United States and Europe, meeting with top autism experts and advocates. She also connects with several other families touched by autism, whose struggles echo her own: the endless doctor visits and experiments with different treatments, the complication of doing everyday tasks, and the inability to communicate - perhaps the most painful and frustrating aspect of autism. But as she comes across innovative new therapies with the potential to break down the walls of autism, Margret finds hope that her son may be able to express himself on a level she never thought possible.